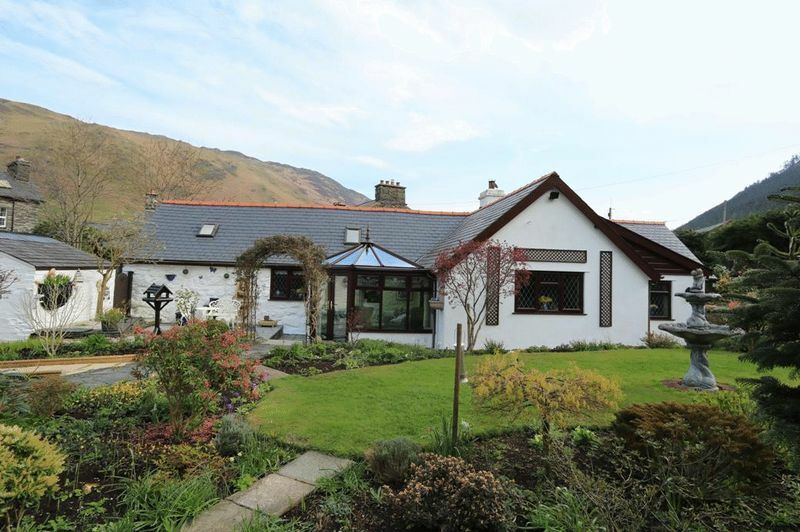 This stunning period residence has been maintained to a high standard and enjoys an outstanding position, privately nestling within delightful landscaped gardens. 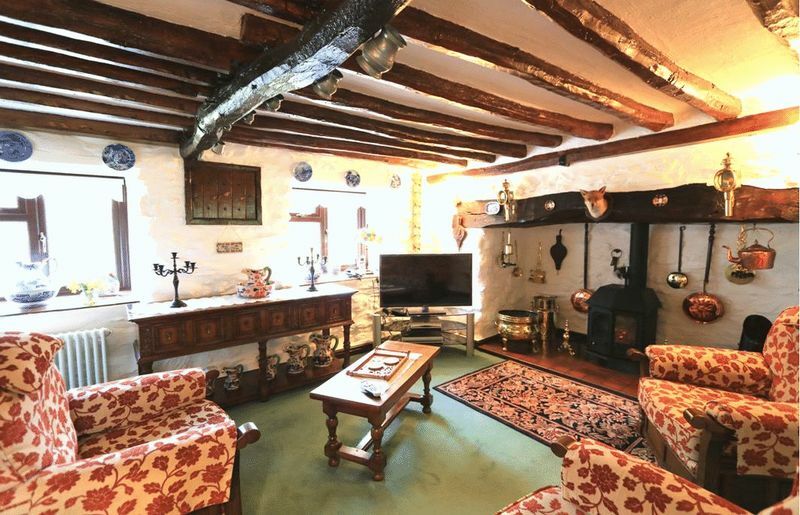 This period character property has exposed stone walls, beamed ceilings, latch doors and inglenook fire-place. 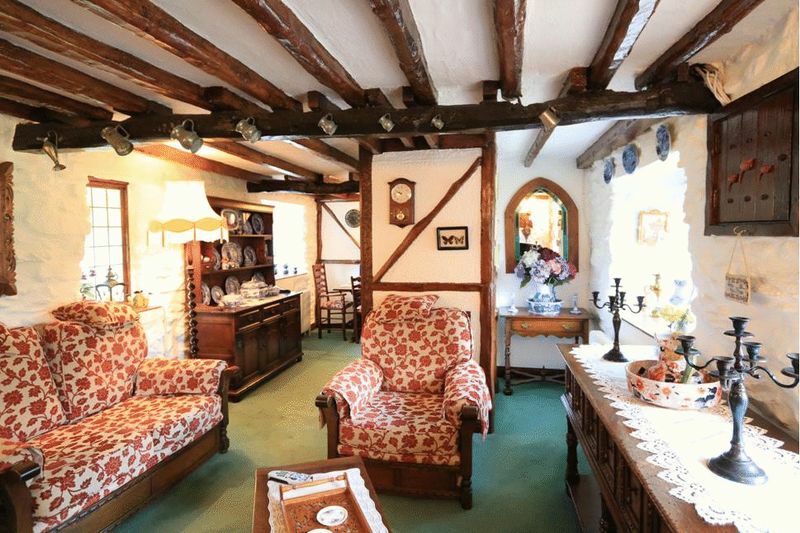 The original part of the dwelling dates back to the 1600’s although extended many years later. Both the interior and exterior of the property is immaculate with care and attention to detail. 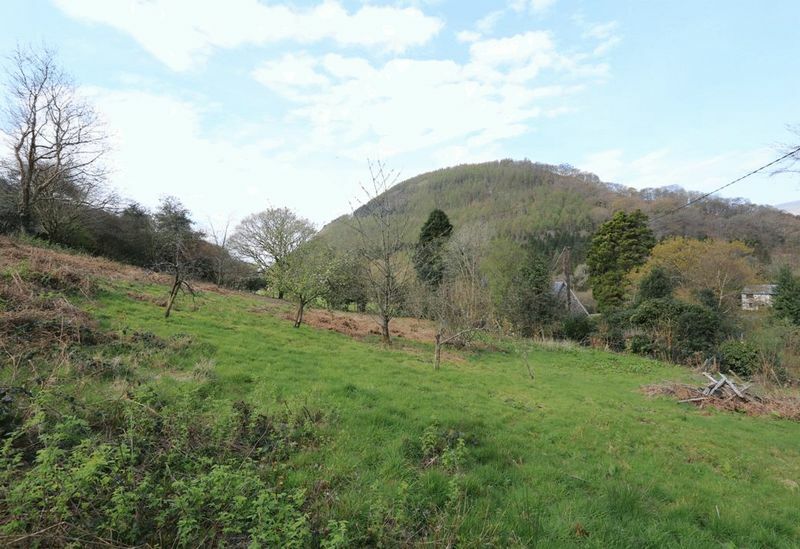 The rear of the property has a delightful bridge which crosses the Gwernol river with access to additional, private land. The elevated former paddock, has been planted with trees and forms part of an orchard with Apple, plum, cherry and pear. 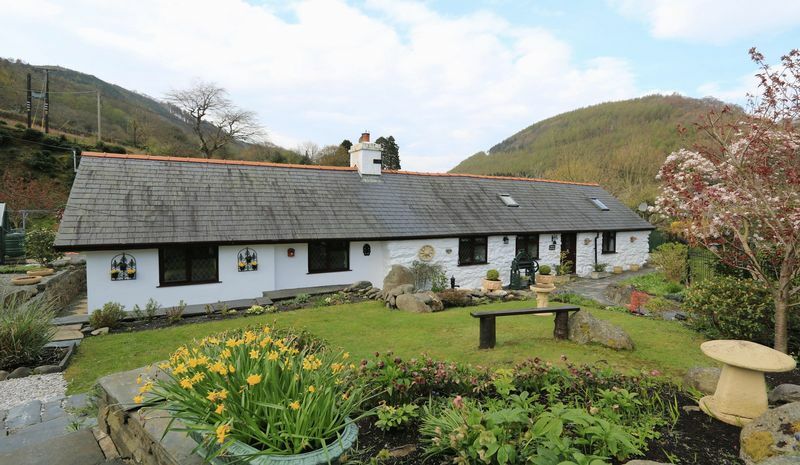 Superb views extend over the village and Dysynni valley. 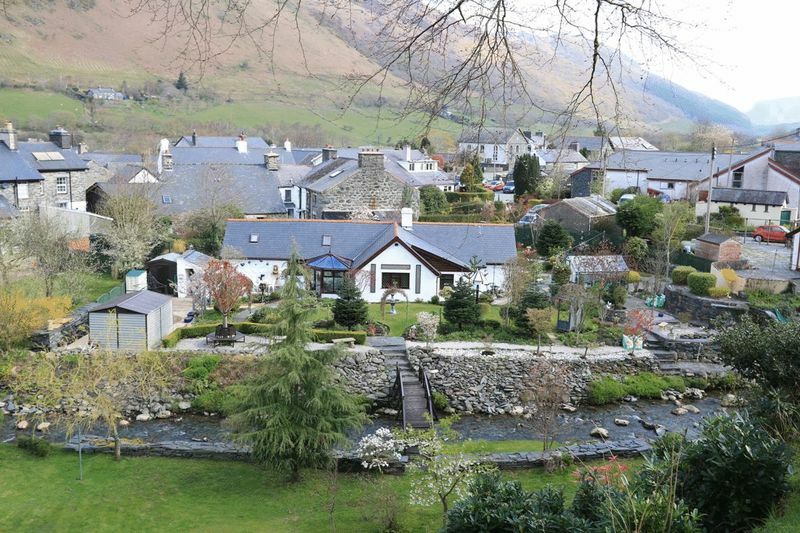 The village of Abergynolwyn has a good community spirit and benefits from a cafe, community hall and village pub. 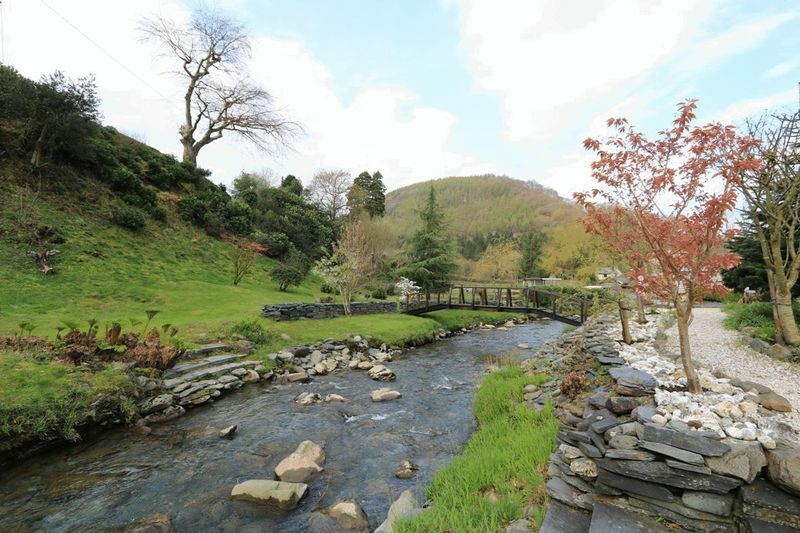 Close-by is the famous Talyllyn narrow gauge railway, popular with locals and tourists. Viewing is essential, to appreciate all this home has to offer. From Tywyn High Street, take the A493 out of town towards the village of Bryncrug. After approximately 2 miles, take a right hand turn sign posted B4405, Talyllyn. 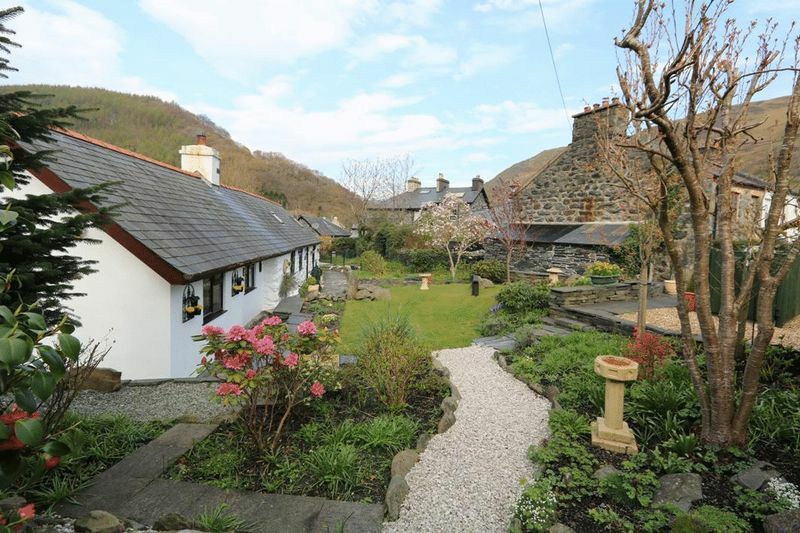 Continue the road for approximately 7 miles into the village of Abergynolwyn. 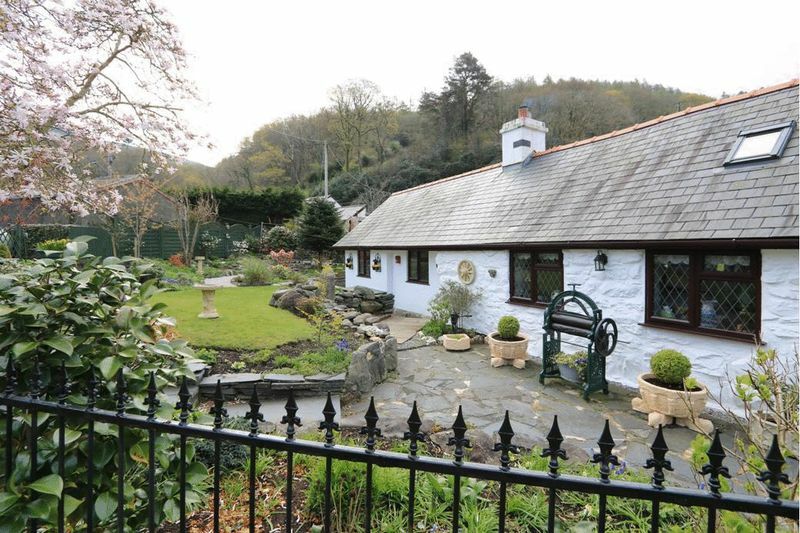 The property is privately located, off Pandy Square. To access the property turn into the village car park, opposite the village cafe. On foot, walk through the car park and bear right through the sign ’No Entry, residents only’. 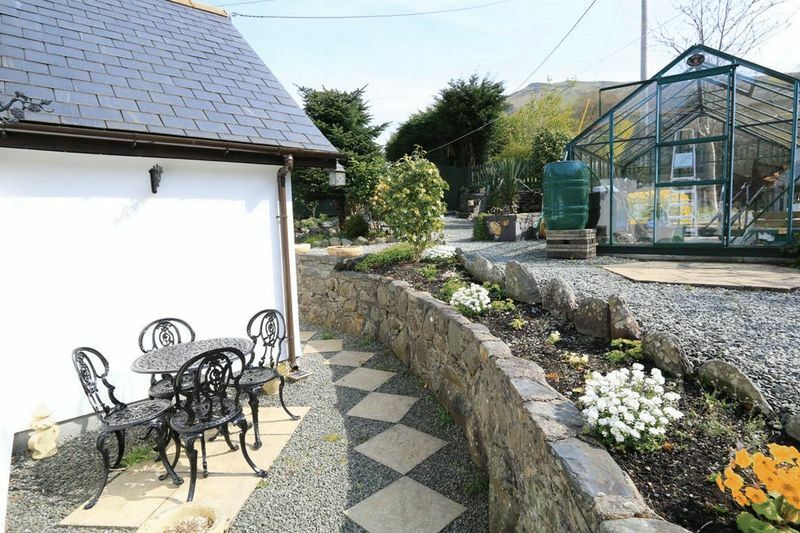 The gated entrance to Hendy cottage is adjacent to a neighbouring row of cottages. There are two parking lots with driveway parking for several vehicles. Our‘ Ar Werth / For Sale sign’ is displayed. Quarry tiled floor, exposed ceiling beam and stone wall painted white. Fixed, feature stained glass window and switch for inside and outside light. Doors leading to bedroom and lounge / diner. This cosy bedroom, with W.C. off, has high beamed ceiling with Velux window and double glazed window with deep seated recess. 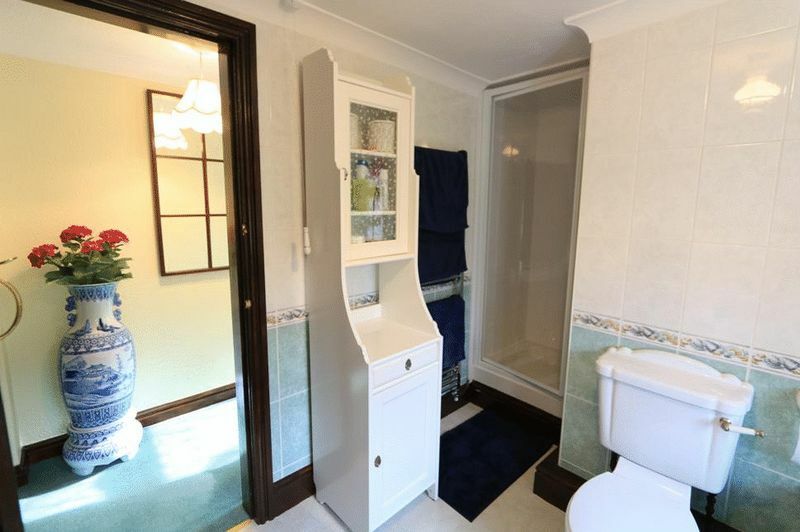 Radiator, power points and double built-in wardrobe with sliding doors. Access to the loft storage rooms can be entered from a door which is not full height. The attic offers superb storage space, with two, insulated adjoining rooms. 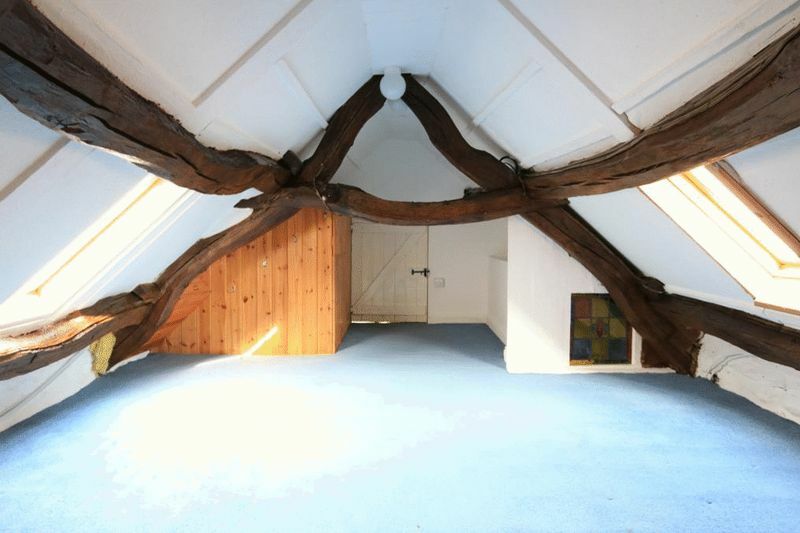 Exposed beams, decorated walls and fitted carpet. Power points, lighting and Velux windows. Conveniently located off the bedroom. Pastel decor, exposed ceiling beams and Velux window. Radiator, white close coupled w.c., single wall light and cold water stop tap. A well designed breakfast kitchen fitted with quality fixtures and fittings. High beamed ceiling, partially tiled walls and quarry tiled floor. 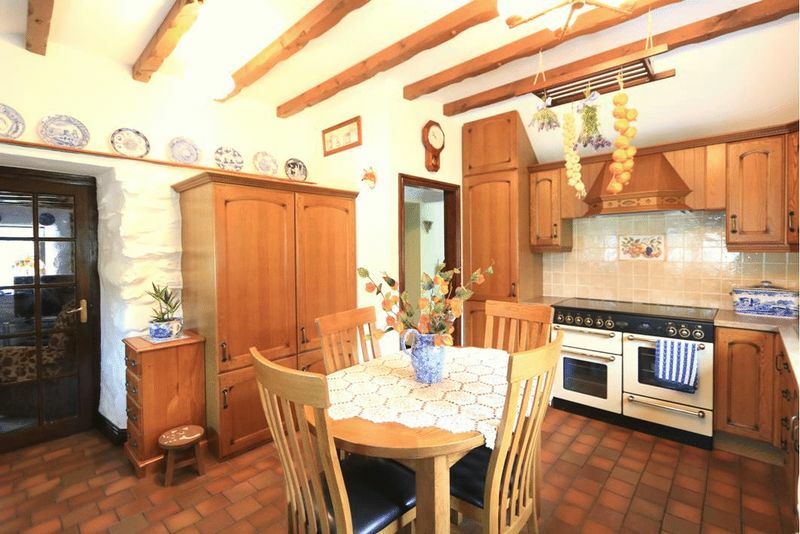 Fitted with solid oak base units, drawers, wall cupboards with decorative cornice and full height, double oak cupboard housing the fridge freezer. Concealed Worcester Bosch gas combi boiler. Polycarbonate one and a half bowl sink and drainer and complementing work tops. Cooker point, with hood and extractor fan, plumbing for washing machine and under counter space for fridge. Double glazed leaded windows to rear elevation and stable door to conservatory. Door to inner hallway. 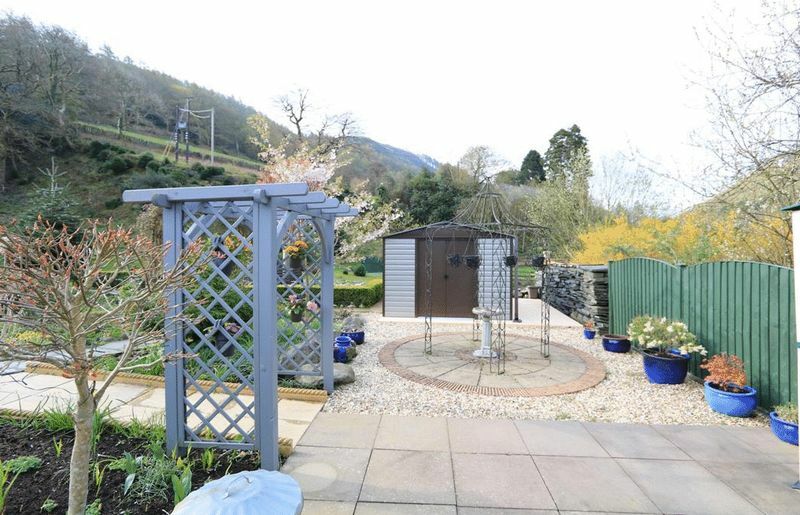 A delightful, private room, overlooking the garden. 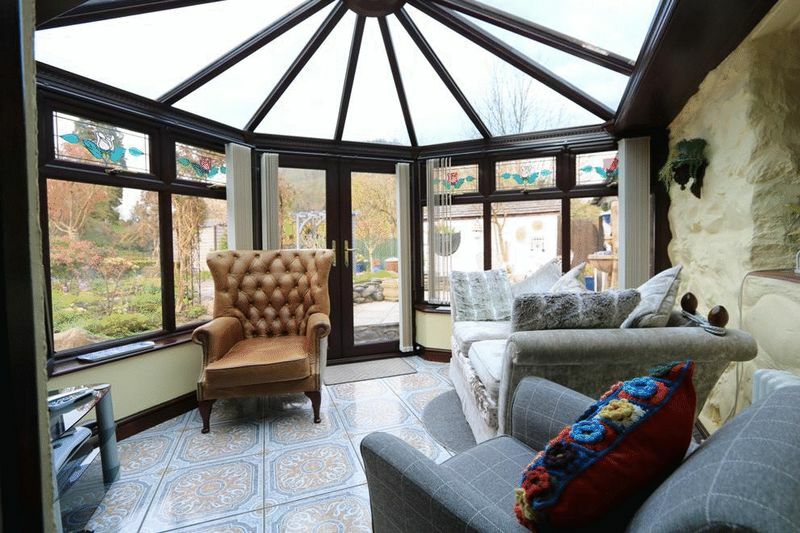 Upvc double glazed windows with stained glass to opening lights, double glazed French doors and Georgian style glass roof. 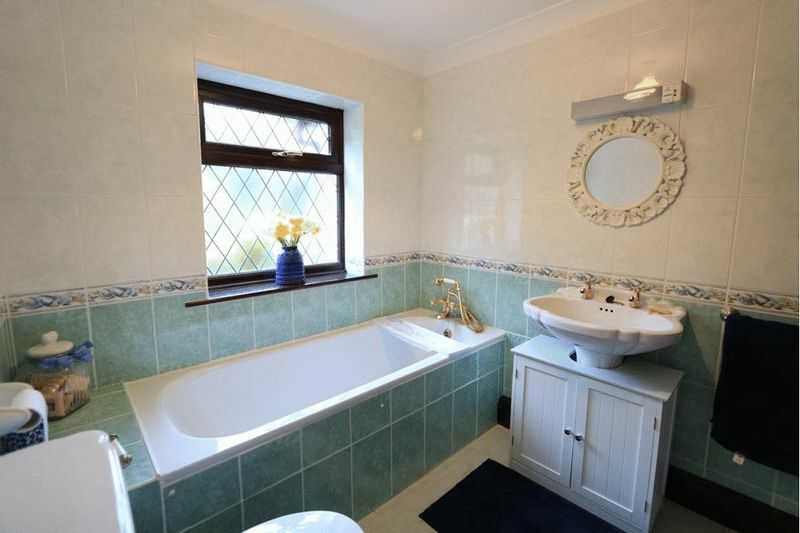 Double wall lights, quality ceramic tiled floor, radiator, power points and telephone point. Coved ceiling and neutral decor. Power points and radiator. Double glazed leaded window to side elevation and doors to bedrooms and bathroom. 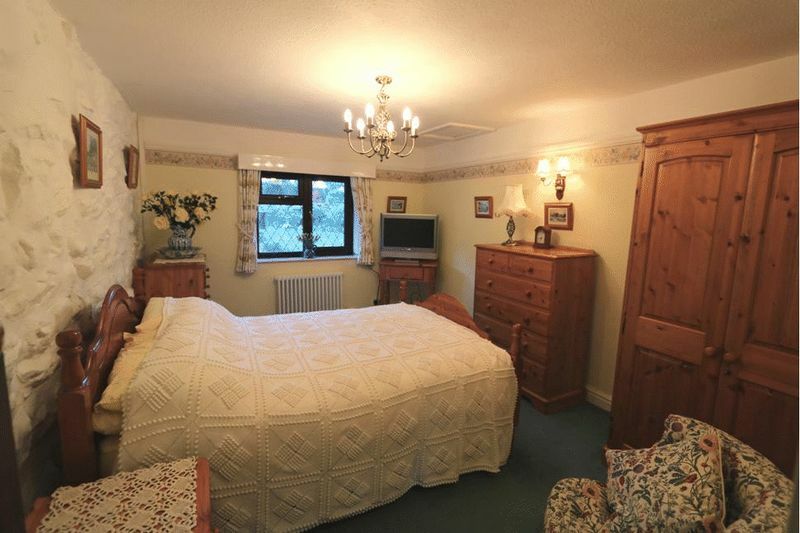 A bright and spacious room with fully tiled walls and ceramic tiled floor. White suite with ceramic wash hand basin, shaver light over and vanity unit. Close coupled w.c. and panelled bath with gold effect mixer tap shower over. Separate shower cubicle with glass door and chrome shower, operated from the gas combi system. Extractor fan, heated towel rail and gold effect sanitary fittings. Double glazed window leaded window with obscure glass to rear elevation. 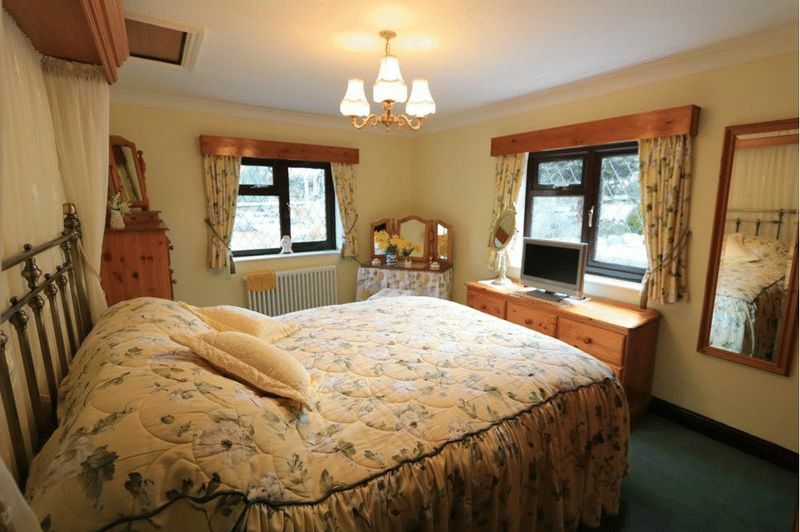 A good size double room with exposed stone walls and pastel decor. Coved ceiling and picture rail. Two double wall lights, radiator, power points and t.v. aerial point. 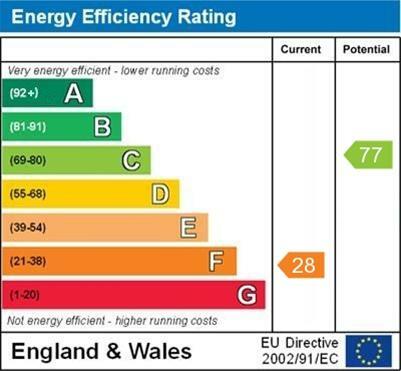 Access to insulated loft with the potential for a loft conversion. Double glazed leaded window to front elevation. Appealing room with coved ceiling and pastel decor. Two double wall lights and matching ceiling light. Radiator, power points and t.v. aerial point. Access to insulated loft space. Double glazed leaded window to rear and front elevation. 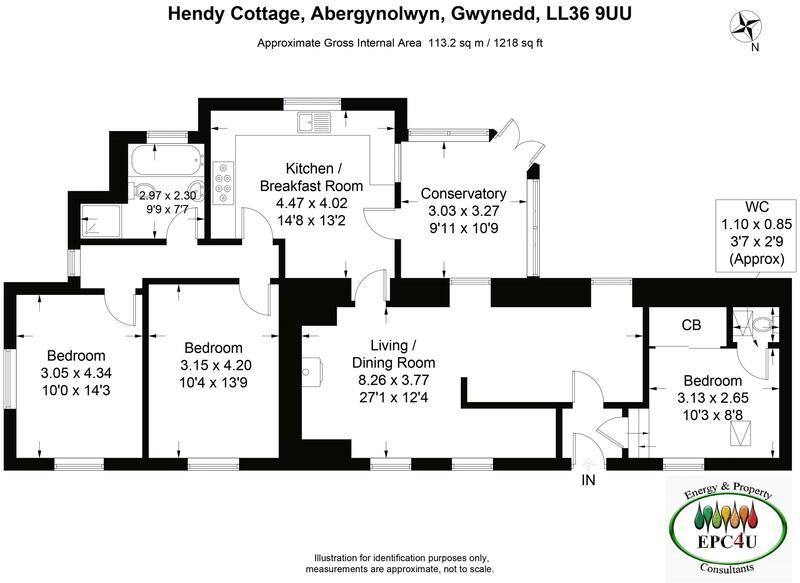 Hendy cottage enjoys a secluded position approached through a shale driveway with parking for several vehicles. The property has a low stone boundary wall and wrought iron railings, gated. The LPG gas tank is concealed here. 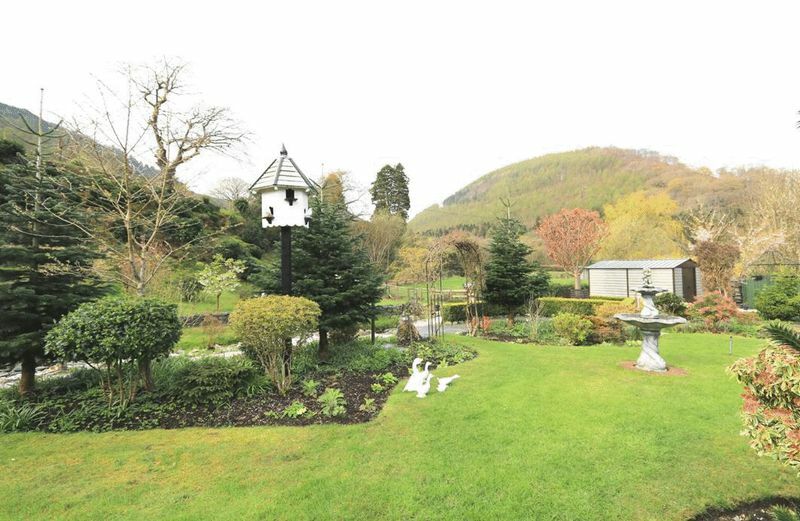 The landscaped gardens to front and rear are outstanding and well tended, laid to lawn with mature shrubs, trees and flower beds. Shale pathways meander through the garden to private seating areas. 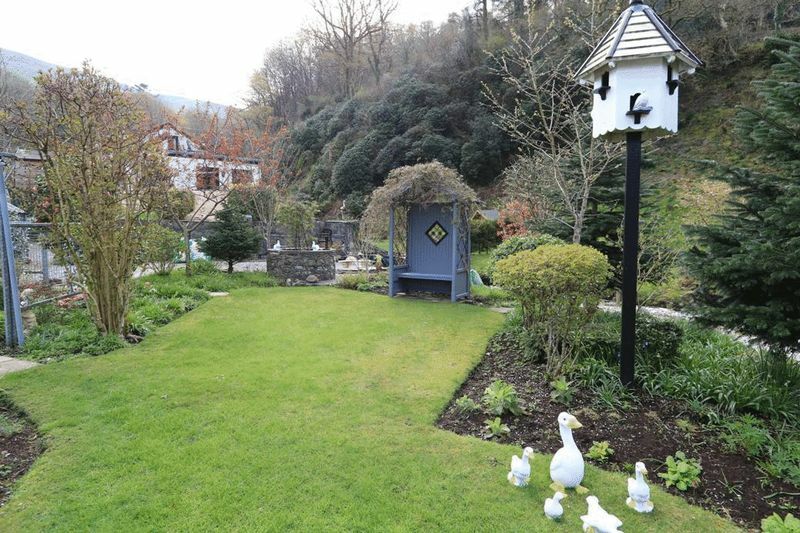 A seated arbour and dovecote decorate the garden with a raised pond beyond with pump power supply. Outside lighting and power points are provided. 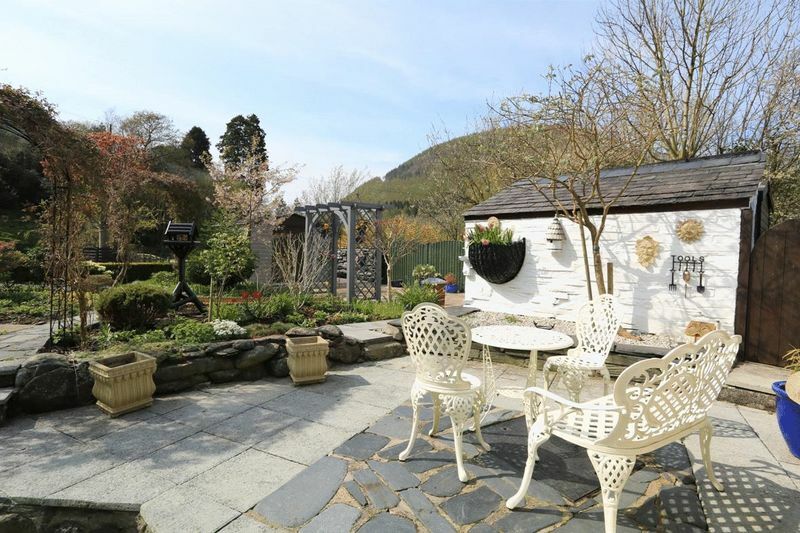 The property is decorated with flowering cherry trees, magnolia, camellia, rhododendron, rose, azaleas, cow slips, tulips, wild primrose, tulips and more. The green house and garden stores are positioned within different parts of the garden, as well as the garden shed with power and lighting which houses the chest freezer. 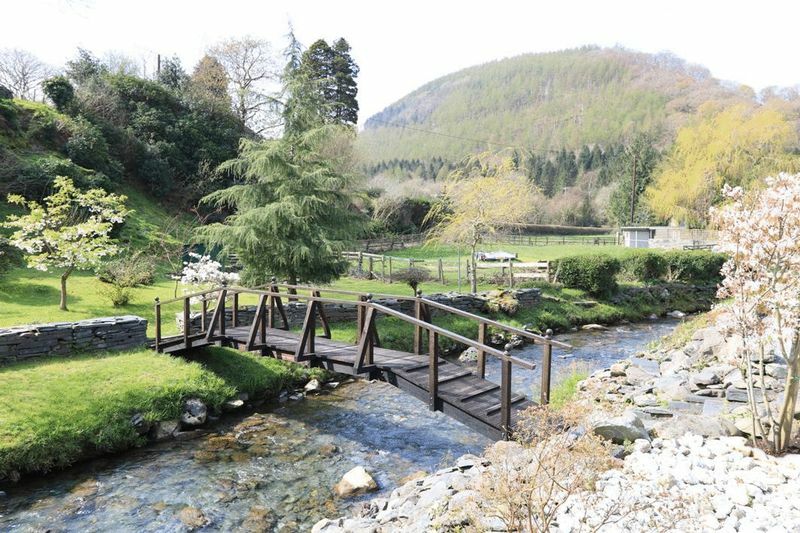 There is a delightful hand made bridge which crosses the Gwernol river to land on the other side, two parcels in all. The lower parcel is laid to lawn with shrubs and houses a timber store. From here steps lead to the elevated former paddock, now considered an orchard with apple, plum and cherry trees. 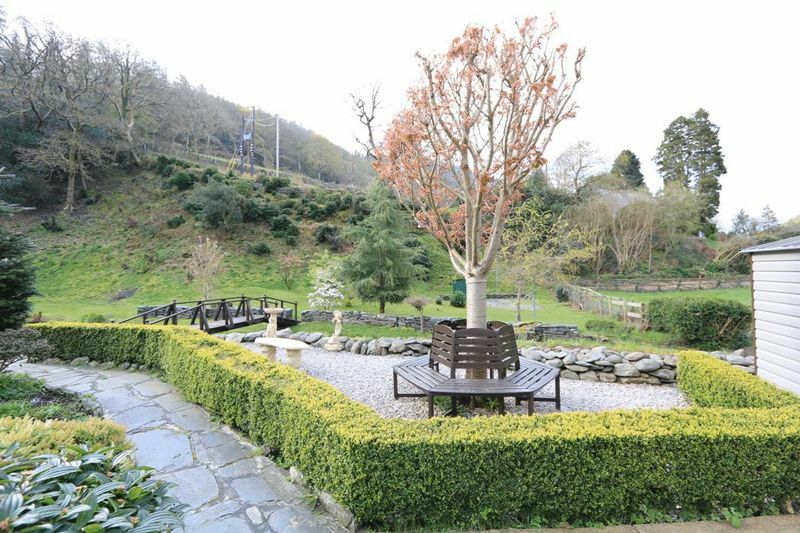 Informal access, to the side of the nearby church, has allowed entrance to this top land. The views from here, over the property, community and Dysynni Valley are outstanding. Electricity, water and drainage connected. Water meter. The water meter is located next to the outside coal bunker. The annual cost is presently £280.00 The reduction takes into account that surface water and that which discharges from the roof, goes into soakaways around the property.